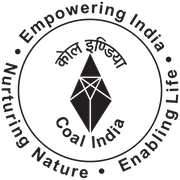 Online Application Details for Eastern Coalfields Limited ECL Recruitment of 3 Advisor is given below. Candidate's minimum education qualification for the Vacancies in Eastern Coalfields Limited ECL should be . retired executives of Secretarial Discipline of E-5/E-6/E-7 grades from PSUs/autonomous organizations of Central/State Govts., Officers of Class-C & above of Central/State Govts. Application form and duly attested documents are to be sent to GM(EE), ECL, Sanctoria, P.S. Disergarh, Pin- 713333, Burdwan(W.B). In envelope super scribed with 'Application for the Post of Post Name'.